Looking for private in-home or in-studio Trumpet lessons? Our Butler teachers are ready to get you started. Find your teacher today! Learn how to play your trumpet correctly and fun songs also. Proper lip technique and fingerings. Note reading and dynamics and more. If you play in school or just want to pick up a trumpet and learn how to play. I specialize in classical trumpet, beginning through advanced. Repertoire - tailored to your specific interests. I specialize in classical trumpet, beginning through advanced. I also stress the importance of standard repertoire which helps build specific skills on the trumpet. A native of Seattle, Christine began her musical studies as a classically-trained trumpet player, receiving her Bachelor's in Trumpet Performance from Indiana University. Moving to Chicago and collaborating with jazz colleagues led her to pursuing a master’s degree in vocal jazz. She was accepted into one of the nation’s leading jazz institutions, the University of North Texas. There she focused on her new passion for singing, honing her skills in piano, songwriting, arranging, and improvisation. technique and skills for self-expression. Whether through teaching self-accompanying, facilitating original composition, arranging music, or using existing songs, Christine leads her students to their goals in practical, attainable ways, by instilling creative and effective practice habits. Christine specializes in contemporary vocal styles - jazz, pop, R&B and singer-songwriter, country and contemporary worship music and uses her extensive experience to teach technique, artistry and lyric interpretation in these styles. Take trumpet lessons from a real US Marine Corp Band musician! I’ve been playing trumpet for over 20 years, 4 of which I spent serving in the US Marine Corp Band. I cover a variety of styles from classical and marching, to jazz and improvisation. The techniques and tips will have you playing cleaner, with a better sound, and higher confidence. Improve your intonation, note reading and sight reading ability and scale knowledge. You’ll learn a wide variety of music theory do’s and don’t, as well as how to make the most out of your practice time. I have twenty years in musicianship as a trumpet player myself and five years of experience in teaching music. Each lesson is designed to cater to the needs of the student and provide them with the skills to advance as a successful musician. 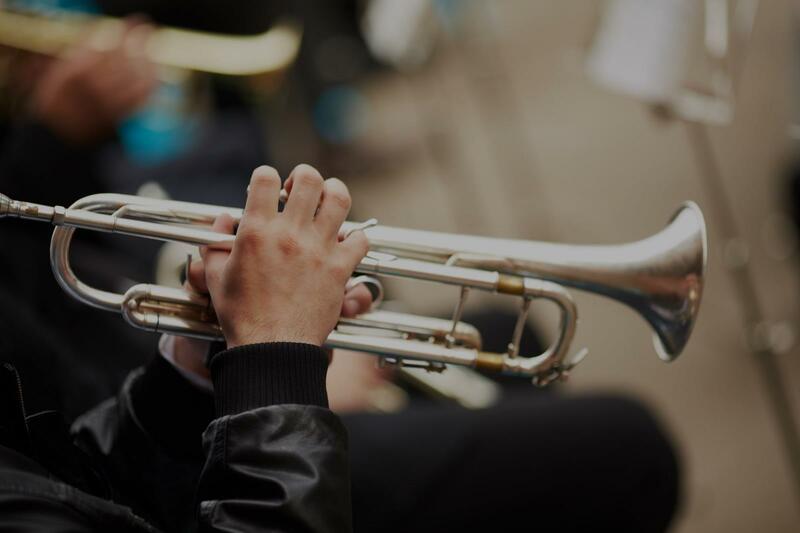 Each lesson is customized and the students will learn subjects such as sight reading, ear training, musical theory and more.